In a world with a rash of startup incubators and accelerators, super angels, crowdfunding sites, and more, what's the relevance of organized angel investments groups? 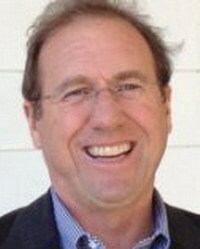 For Friday's interview, we spoke with Terry Kay ithe new Chairman of the Pasadena Angels (www.pasadenaangels.com) on the group, and its relevance in the technology funding world today. First off, for those not familiar with the Pasadena Angels, talk about the group? Terry Kay: We have always been about helping the entrepreneurs succeed, first, and then, we figure out how we get our fair share from that success. The Pasadena Angels was founded fourteen years ago by Duane Peterson, who is a really good man here in Pasadena. He started the group because he wanted to help companies succeed. The premise was, let's help companies succeed, and cut ourselves a fair deal, and treat entrepreneurs in a decent way. It's more than money. We've done $30 million to $40 million in deals in the last twelve to fourteen years, but even though it is about the money, it's more than being about the money. We want to help companies find success, with our help on board, our connections, and advice. Without that, many companies would not have gone very far. What we're up to nowadays, is we're looking at strengthening our membership, and seeing what we're doing internally and outreaching to entrepreneurs through that stronger membership. Terry Kay: Our membership was not terribly engaged. We'd get a new member, and they'd look around and say--hey, only a few people are doing most of the work, what's the deal? So we looked at that, and put together a plan for member reengagement, to figure out what it takes to make a healthy angel organization, get a fair level of involvement and engagement with all of our membership. It's more than showing up every two months and writing that dues check so they can say they're an angel--it's having them pitch in and grab the oars, and help move the group forward. To do that, we've help organize our members into subject matter areas, whether they know IT, or web stuff, or engineering, or manufacturing. Those working groups are now meeting to share their best thinking and knowledge about those areas. What does that mean to entrepreneurs? Terry Kay: The main thing that entrepreneurs will be excited about, is we now have a streamlined process when they are submitting an application. We now have two person teams reaching out to applicant companies, after we do an early screening, weeding out those companies with no change of getting funding from our group... My message to entrepreneurs is we are absolutely open for business, and we have more new members, more dollar capacity, an even larger experience base, lots of enthusiasm, and multiple streamlined processes which make things better, quicker, more honest, and more valuable for everyone. How is an angel group like the Pasadena Angel relevant in today's world of accelerators, incubators, crowd funding, and more? Terry Kay: That's a good question. My number one advice to anybody, is to shop around, talk to lots of people, and decide for yourself. I haven't met all of the folks in the market, there are tons of incubators and accelerators around here now, and there are tons particularly on the West Side. They probably provide a lot of what we do, with the difference that they've got 24/7 management there. I would say that, if you look at Pasadena and Caltech, at JPL, at Idealab, at Innovate Pasadena, and the Design Center, and a couple of other things going, there is a lot of stuff happening in Pasadena, and sprouting out of Pasadena. It's a good area, and as the Pasadena Angels, we have the money and a hundred members with a minimum of forty years of business experience, a total of 4000 years of business experience. More than ever, we're going to unleash that and get aligned, and engaged, and more active with companies. Where do you think an angel group can help the most in growing the companies industry here? Terry Kay: I think we've got a broad base of experience, and a perspective that comes with a little more age than those really smart 30-35 year olds. Wisdom just comes from age, from growing businesses, from raising kids. We have a vast amount of experience, and have the capacity to help. When things get super heated like they have, with the IPO markets and incubators, you end up with a group of people who end up overpaying for stuff. That's one thing we've talked about with incubators, with valuations. All of that isn't going to last. We don't think it's a good idea for angels to just keep investing their money in companies which look like those over there, just because they have high valuations over there. How about for angel investors, advice for them? Terry Kay: If you want to do angel investing, do it with a group. There are Family Offices out there, there are uber-angels out there. But, I wouldn't want to be one of them. I don't think I'm that smart, and can figure it all out myself. I think if you put together a group of 10 or 100 people, you can be a whole lot smarter together. Second, go immerse yourself in the market. Go to every opportunity you can find--with the Pasadena Angeles, Innovate Pasadena, to the Westside, to the Capital Growth Conference, and so on--and immerse yourself in this market, and just start to absorb it all. It's like tasting wine, you have to build your palate. Plus, keep getting to know other angels, take time to talk to them, to hear their story, and keep on talking to entrepreneurs, get to know them, and hear their story. It's a a people's world, and it always will be. There are people who are great and those who are not so great. You need to sort all of that out. Any last message to folks? Terry Kay: A friend of mine, Chris Erskine, who is at the LA Times, told me recently that he thinks this will be the greatest generation there ever has been. I had to shake my head, given all the problems there are now in the world. But, after ruminating on that, I have come to believe it. We angels may not have the energy we had back in the day, but we have a tremendous amount of experience, perspective, and the more things change the more things stay the same. People are people, and if angels can see what a great opportunity it is for us to work with the next generation of entrepreneurs, to help create jobs, they will see it's a wonderful opportunity--and perhaps and obligation and duty--so that the next generation can be the greatest generation, so that this country--with all of its problems and faults--can rise to the next level. That's what I'd like to put out there.